This quick tutorial is on a point of grammar that often trips people up. But before I begin, I want to offer an observation and a disclaimer. Thankfully, grammar is making a comeback in today’s schools (more about that here)—too late, of course, for those generations who missed out. I was lucky enough to have a mother who was ‘good at English’, and I’m so glad she instilled in me a few boring rules when I was in primary school. I want to emphasise that: I was lucky. And then, in high school, I learned more about English grammar by learning French and German than I had ever learned in an English class. 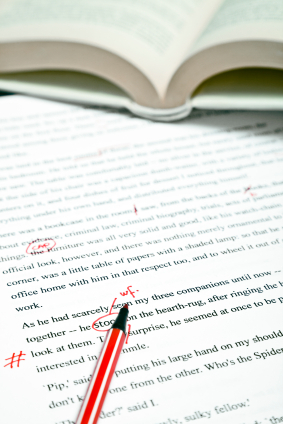 Since then, my work as an editor has required the study of grammar, and frequent revision, although I don’t consider myself to be an expert—a term I reserve for the few editors I know who studied Latin and for whom the parsing of a sentence was a primary school exercise as familiar as reciting the times table. So that’s the context for my posts on grammar. For greater authority than mine, there are any number of tomes available, though I confess to a fondness for one that is delightfully quirky and satisfyingly gothic: Karen Elizabeth Gordon’s The Deluxe Transitive Vampire: the ultimate handbook of grammar for the innocent, the eager, and the doomed. And so on to today’s quick tutorial: the singular subject in plural disguise. Being able to identify the subject of a sentence is important, because the verb needs to agree in number with the subject—that is, a singular subject takes a singular verb; a plural subject takes a plural verb. The girl wearing slippers and pyjamas is eating ice-cream. The girl who told us about the snakes is eating ice-cream. The girl, whose brothers have all been scoffing cheeseburgers, onion rings and potato wedges with cheese and pickles, is eating ice-cream. The girl with the friends who are helping themselves to the salad bar is eating ice-cream. The girl wearing slippers and pyjamas, whose brothers have all been scoffing cheeseburgers, onion rings and potato wedges with cheese and pickles and whose friends are helping themselves to the salad bar is eating ice-cream. The girl who has been watching her brothers scoffing cheeseburgers, onion rings and potato wedges with cheese and pickles and her friends helping themselves to the salad bar is still eating ice-cream and, frankly, is tired of it. The girl wearing slippers and pyjamas, whose brothers have all been scoffing cheeseburgers, onion rings and potato wedges with cheese and pickles and whose friends are helping themselves to the salad bar, is eating ice-cream. The girl is the subject of the action. Power to the girl! Quick tutorials: what is an en-rule? In this new occasional feature, Tips for writers, I’m going to be covering a range of topics drawn from my experience as a book editor and teacher. There are two main ingredients—lemon and garlic—in that sauce. There are two main ingredients – lemon and garlic – in that sauce. There are other issues involved in the use of en-rules, but this quick tutorial covers the most common and I hope some of you find it helpful. If you need more information, I always recommend the Style manual for authors, editors and printers (6th edition, John Wiley & Sons Australia, 2002), to which this quick tutorial, as well as my knowledge generally on the nuts and bolts of writing, is indebted. 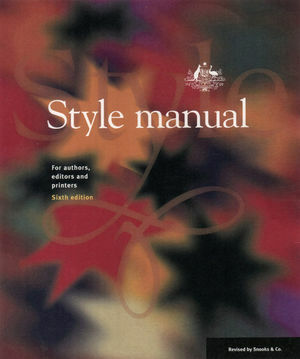 This edition of the Style manual might be an old source now but it’s still considered to be a standard text in the Australian publishing context, as were all the editions that came before it.